This Black Embroidered Maxi Dress with Criss Cross Back is gorgeous! It features an embroidered detail throughout and criss cross back. Perfect embroidered maxi! Very comfortable fit. A little long. And watch out for pet hair when wearing this dress! 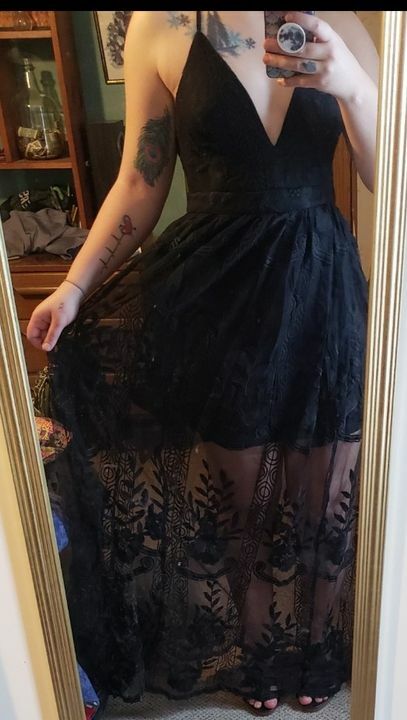 Bough to use as a bridesmaid dress and I will be using it for other things after! The material is great, I got so many compliments! Thank you. True to size. Got a M.